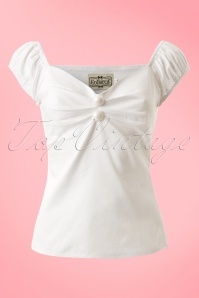 Top in carmen style, cute puffy sleeves which can be worn off-shoulder and pleats at the bust for a beautiful cleavage. 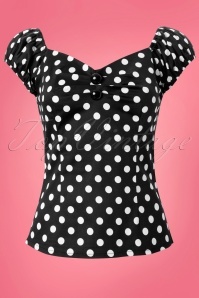 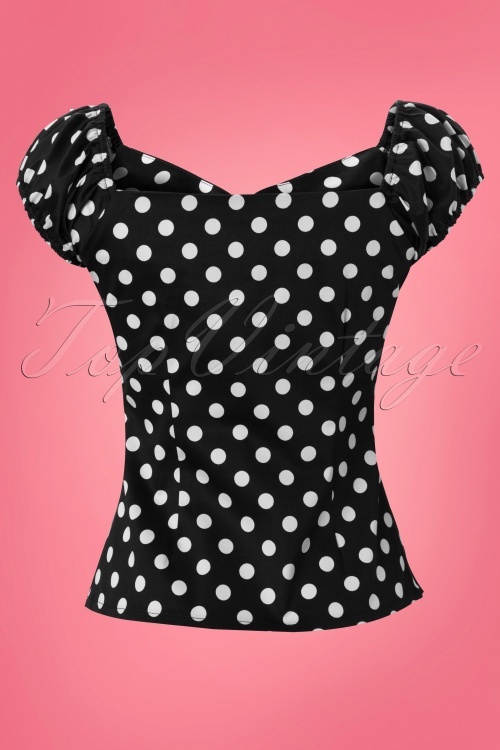 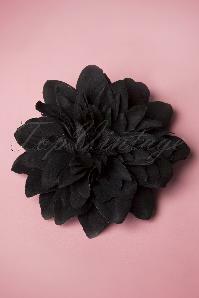 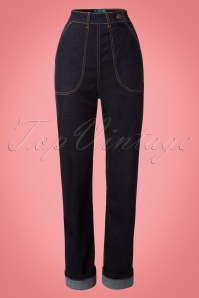 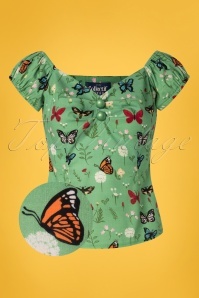 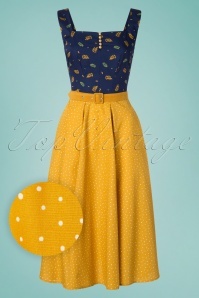 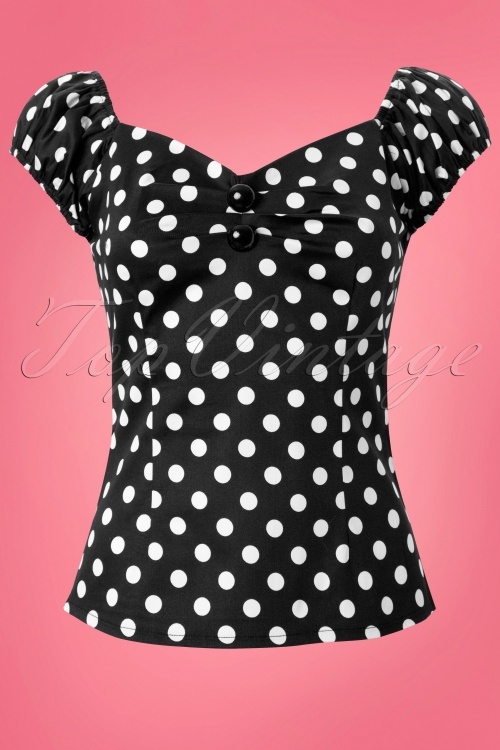 Made from a black cotton blend with white polkadots and a light stretch for a lovely fit. 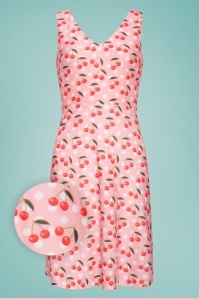 The always oh so pretty Dolores!